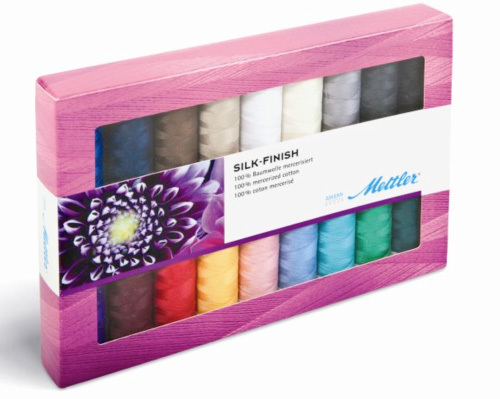 Contains 18 spools of Metrosene Cotton Silk Finish 40 weight Thread. 18 164 yard spools. Color numbers 0046, 0109, 0504, 0120, 1057, 0350, 1091, 0247, 0757, 1304, 0825, 1002, 1222, 2000, 3612, 0322, 1282, 4000.
International Orders - Actual Shipping Charges will be charged. US/APO customers pay our regular low flat rate for shipping.